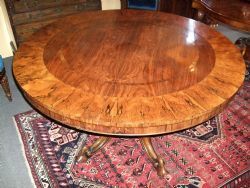 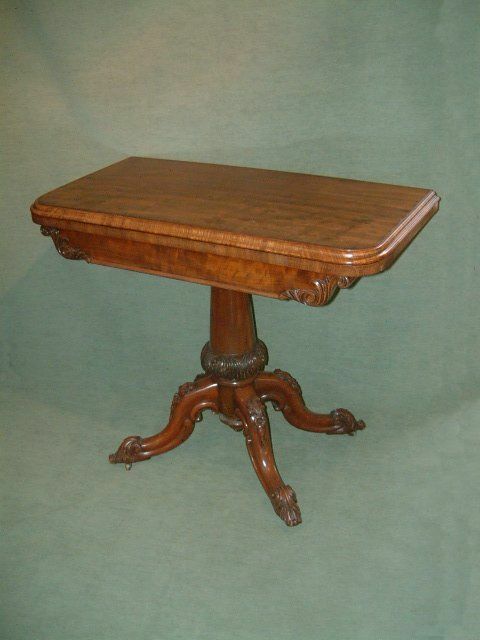 Victorian Burr Walnut Pedestal Dining Table, Superb Figuring to the Top & Supported on Beautifuly Carved Pedestal. 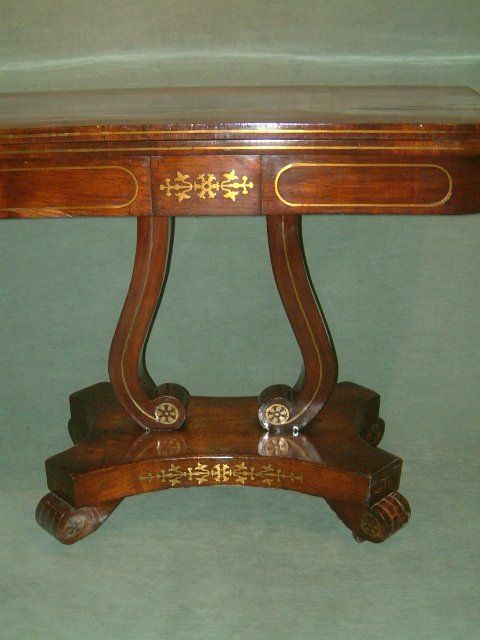 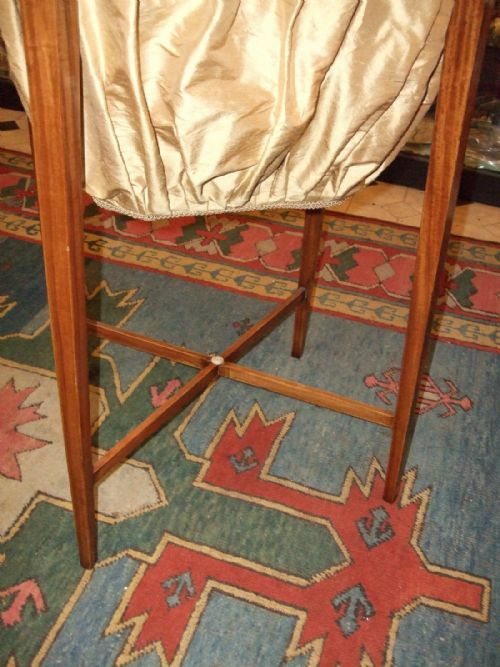 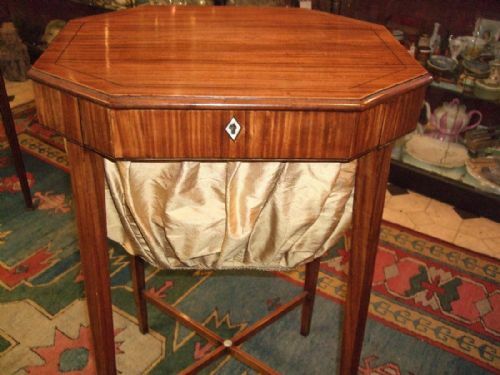 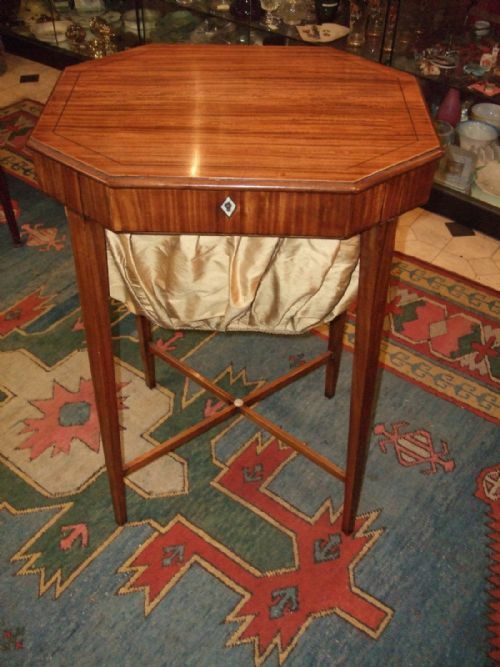 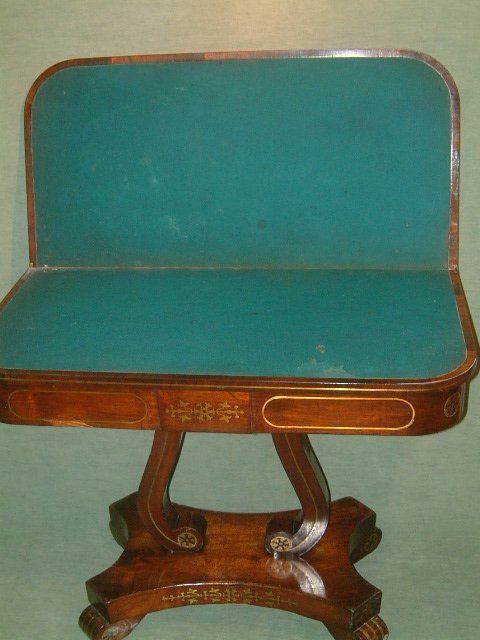 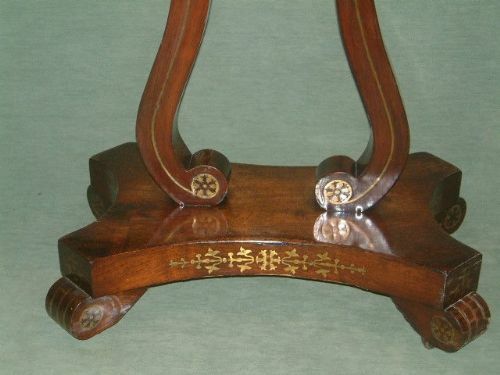 Regency Rosewood Brass Inlaid Card Table Good Colour & Patination. 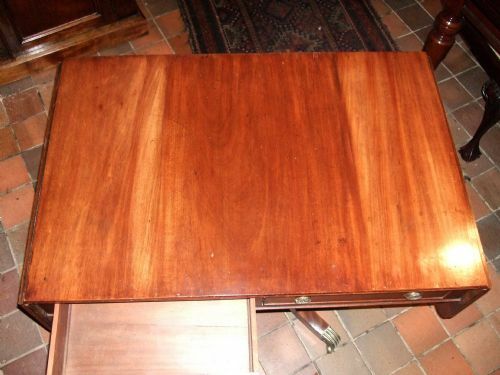 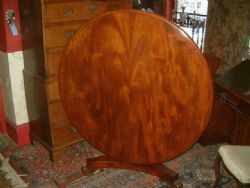 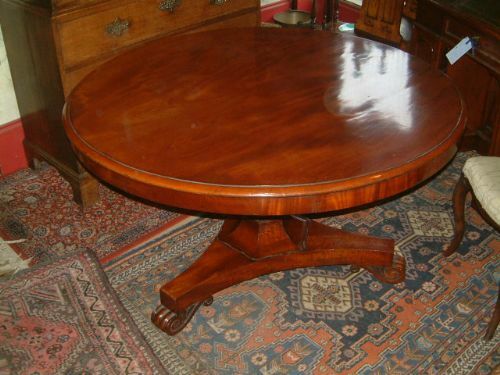 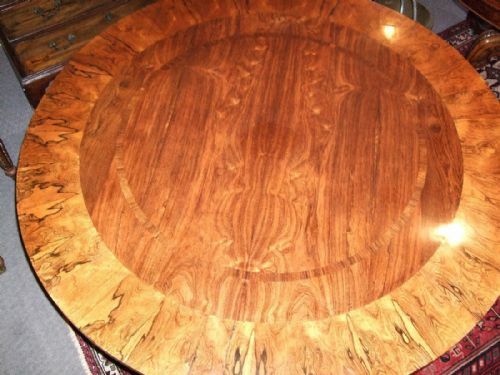 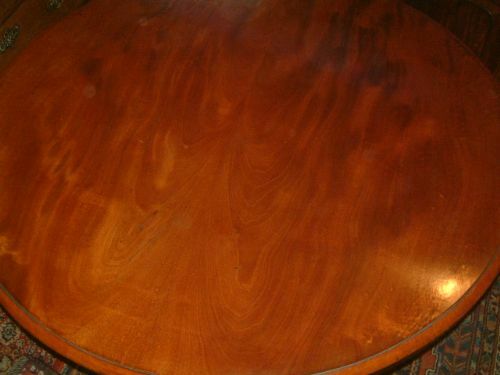 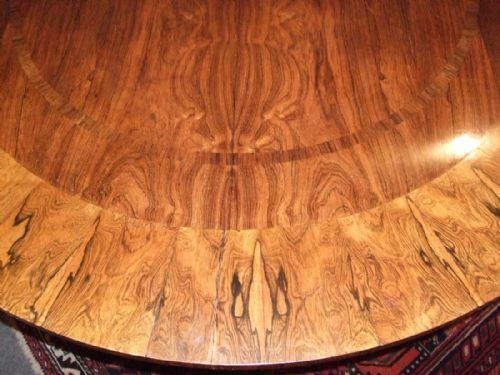 Superb 19thC Rosewood Tilt Top Dining Table with Crossbanded Decoration Superb Figuring. 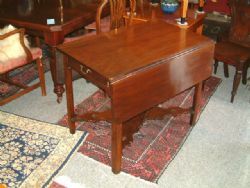 William IVth Rosewood Sofa Table with 2 Drawers. 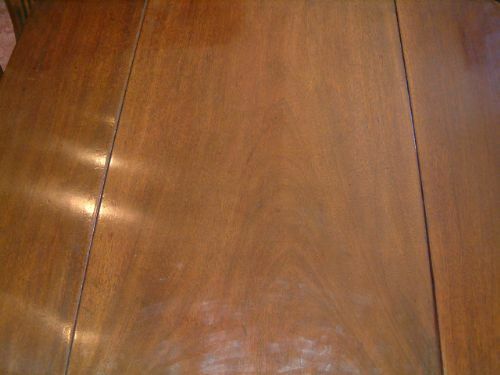 Superbly Figured Rosewood. 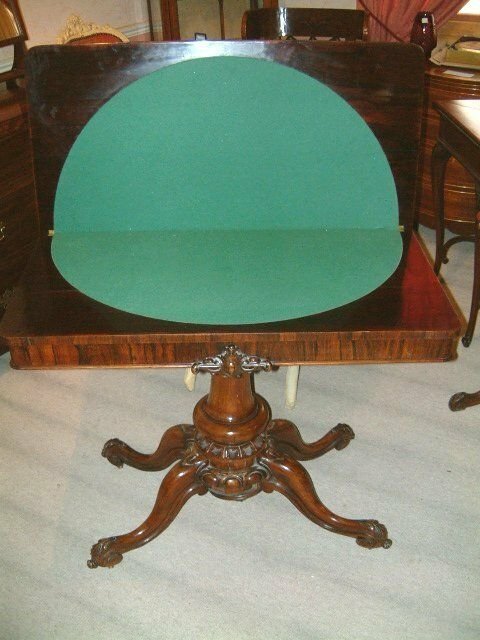 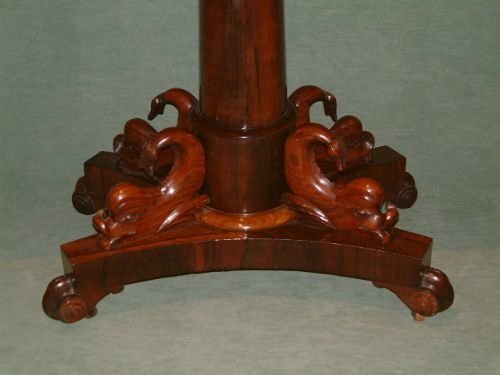 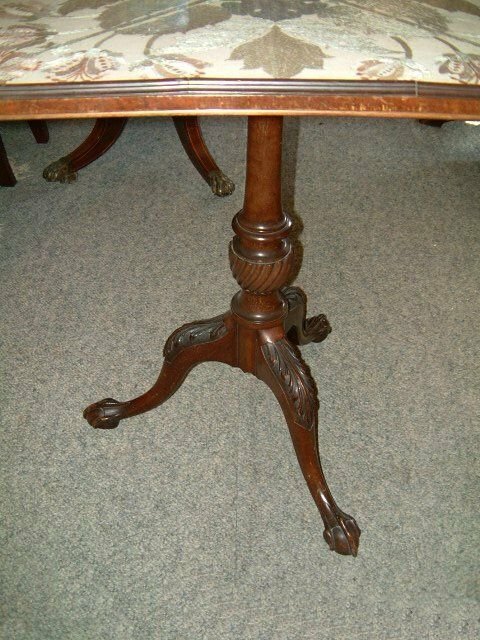 Victorian Rosewood Pedestal Fold over Card Table the Foldover Rosewood Top Revealling A Green Circular Baize above A Crossbanded Frieze with Well Carved Central Motif, Supported on a Central Carved Column with Four Fluted & Carved Legs with Brass Casters. 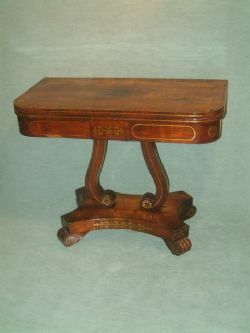 Victorian Mahogany Fold Over Card Table on Carved Pedestal. 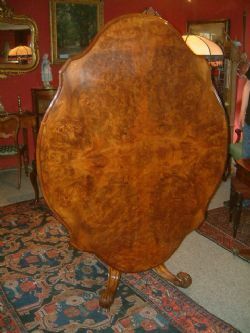 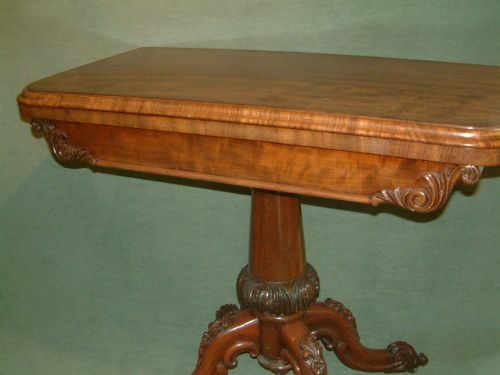 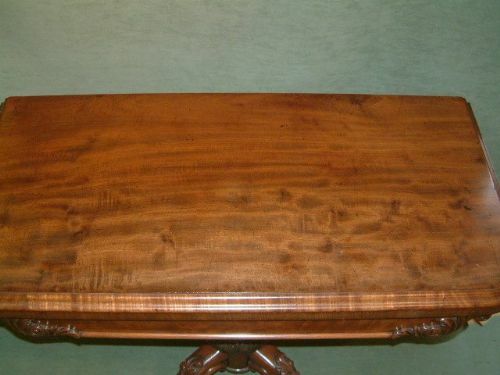 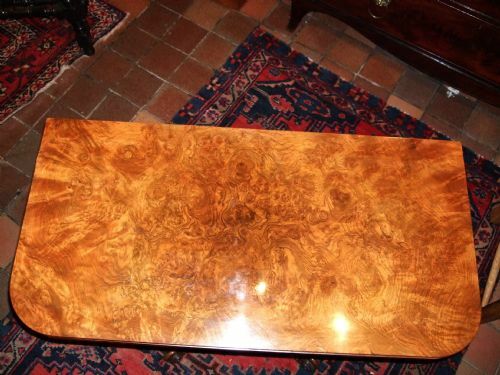 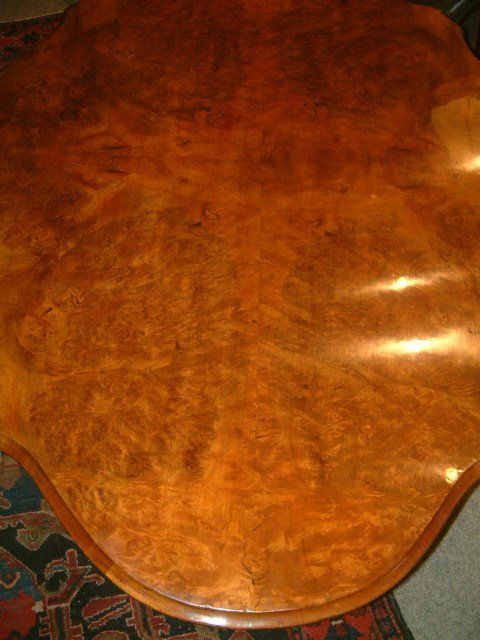 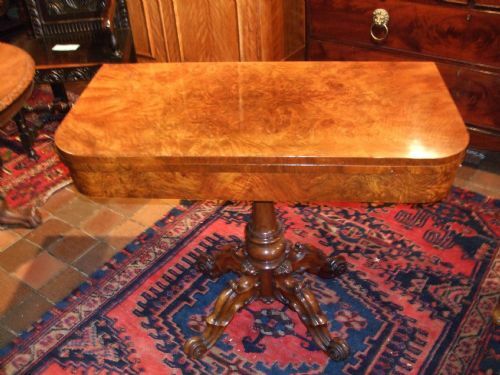 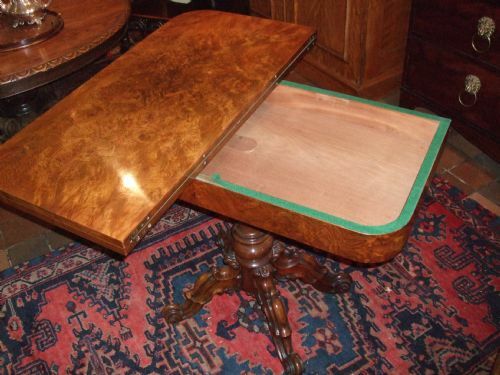 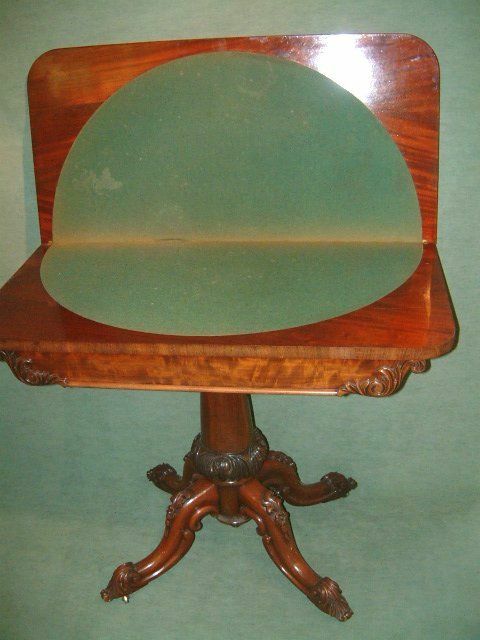 Victorian Burr Walnut Foldover Card table with carved Base, Superb Figuring to the Veneers. 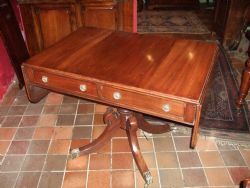 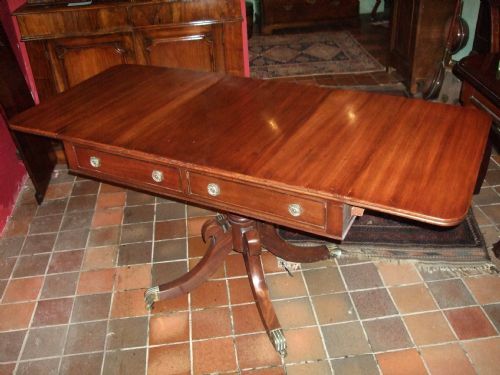 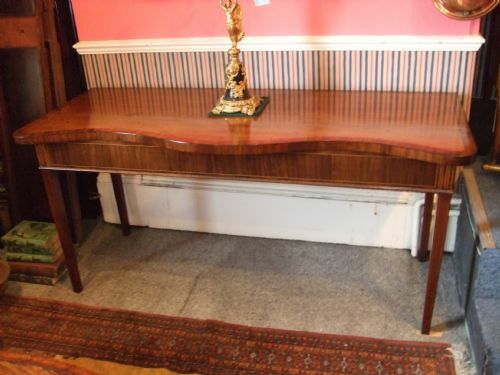 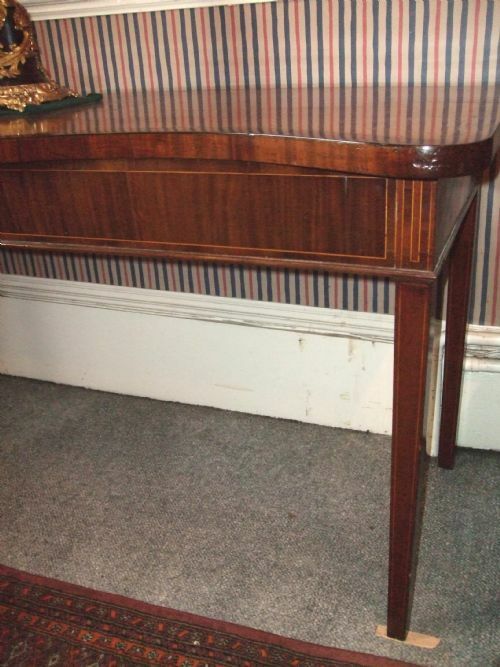 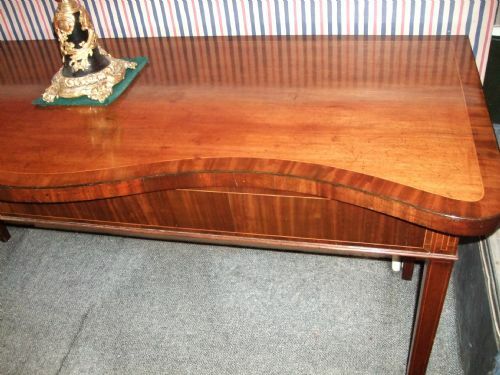 Regency Mahogany Sofa Table with 2 Drawers. 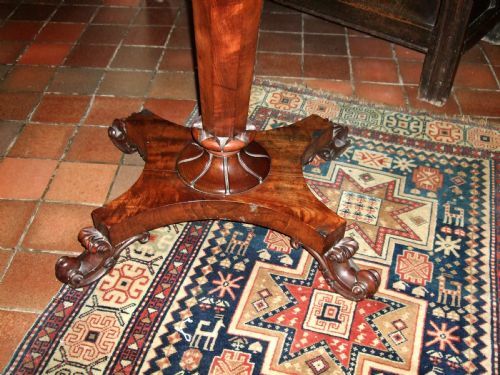 Supported on Sabre Leg Pedestal with Brass Castors. 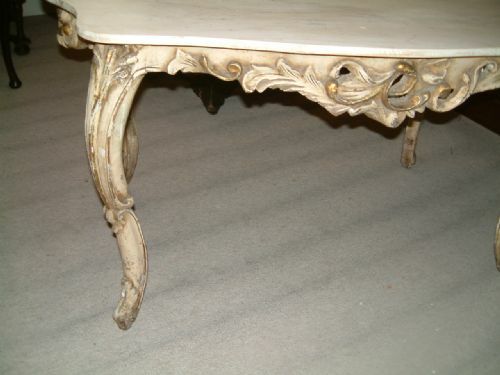 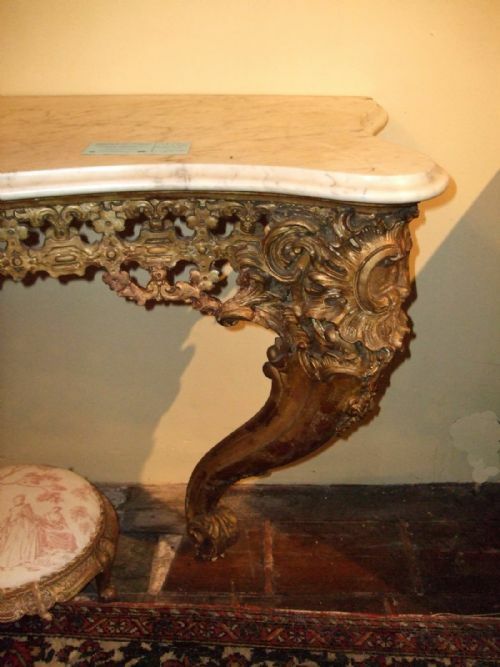 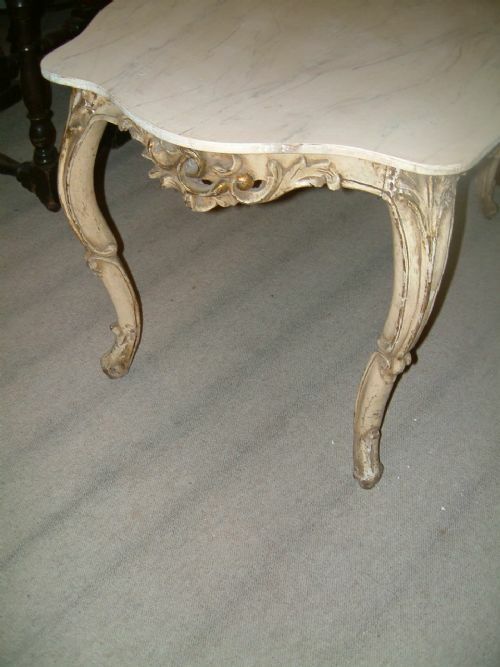 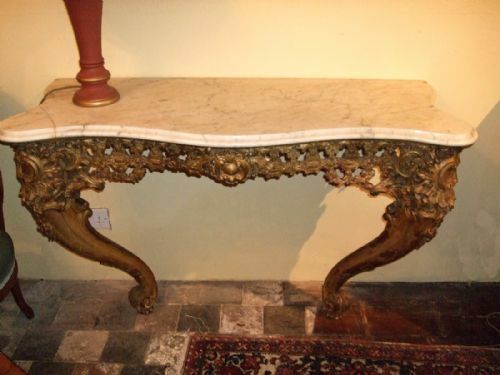 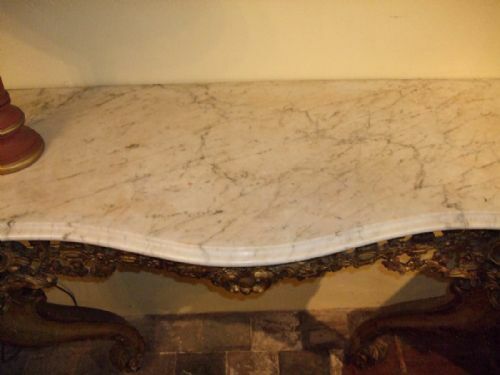 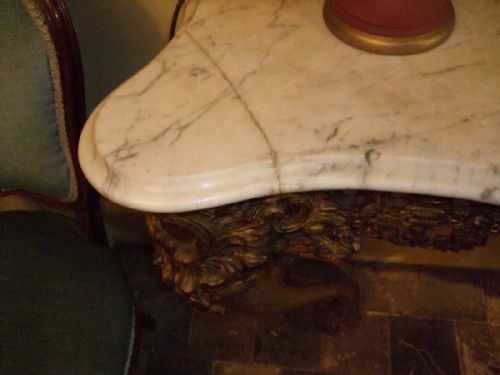 Victorian Gilt-Wood & Gesso Marble Top Console Table, Historic repair to left hand corner of the Marble Top. 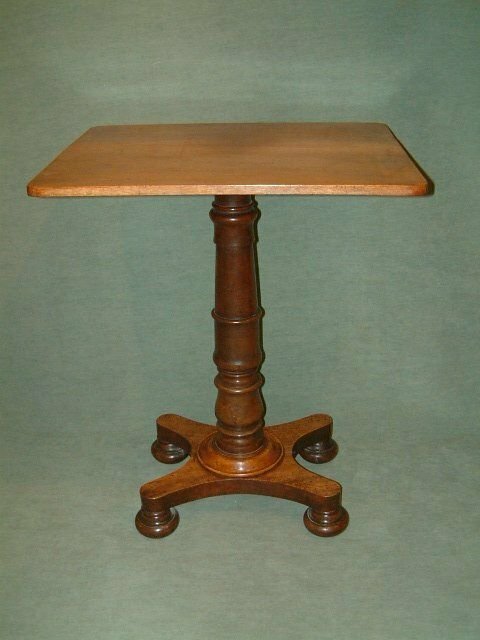 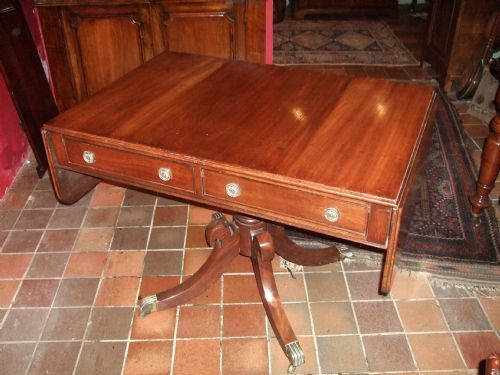 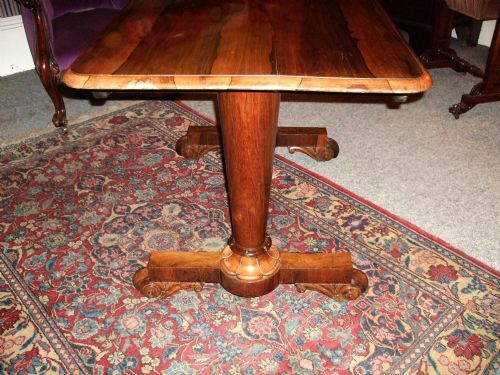 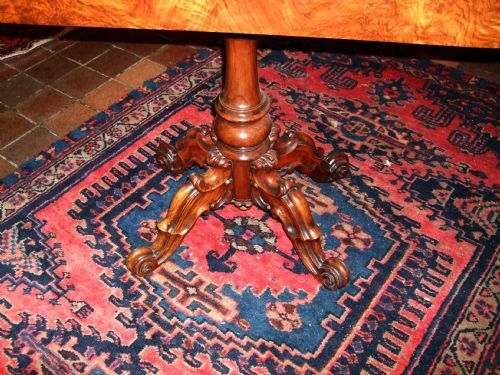 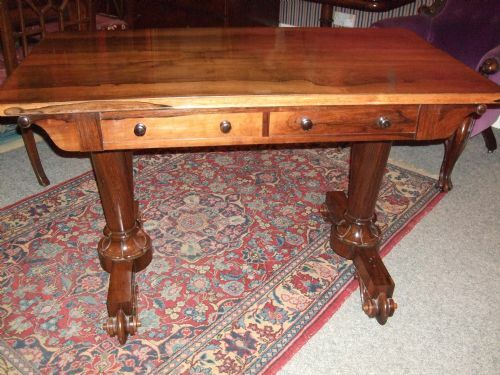 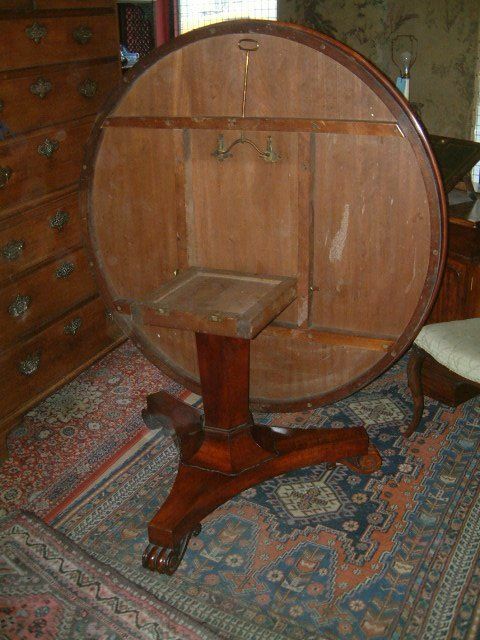 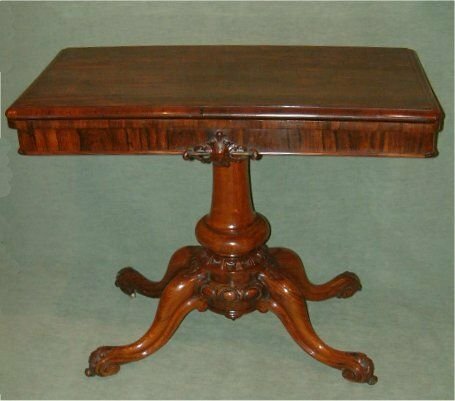 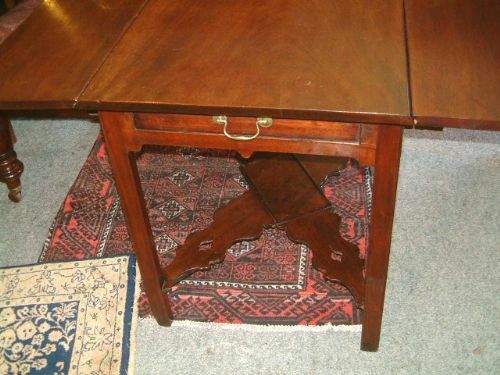 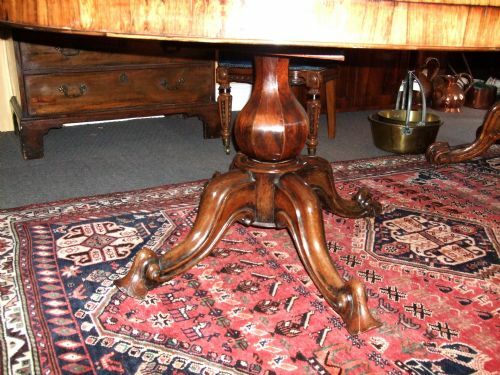 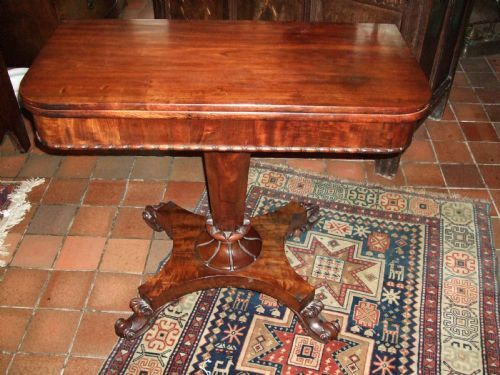 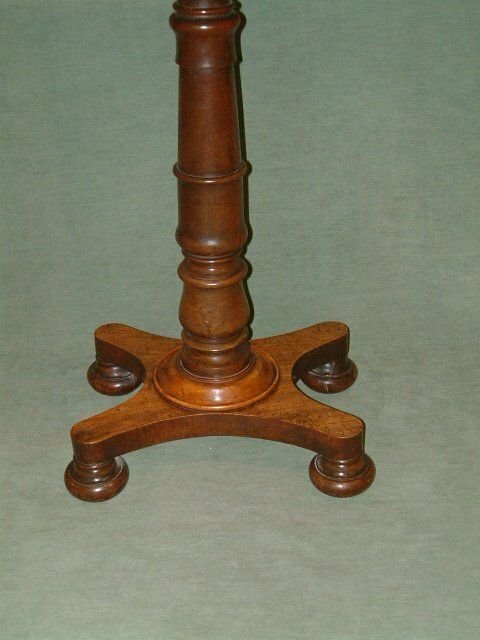 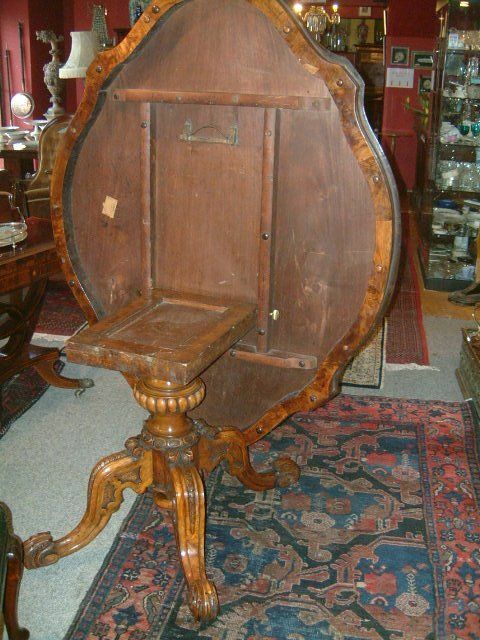 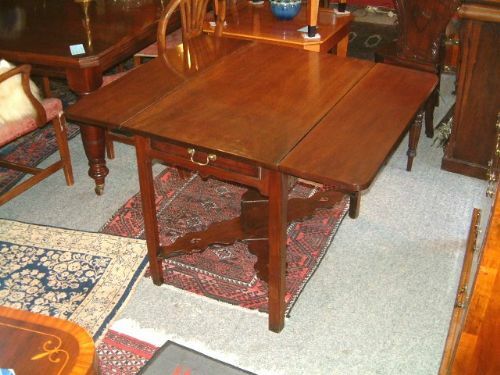 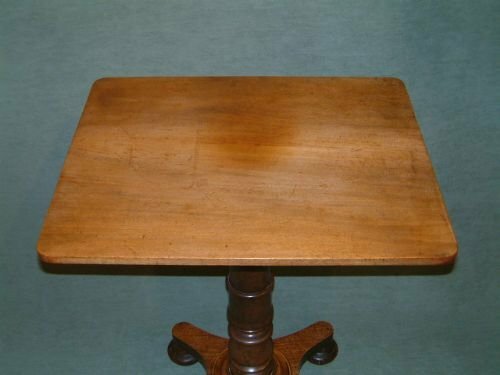 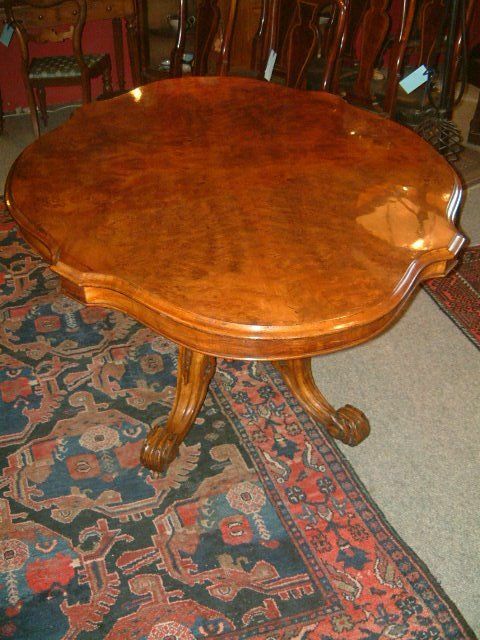 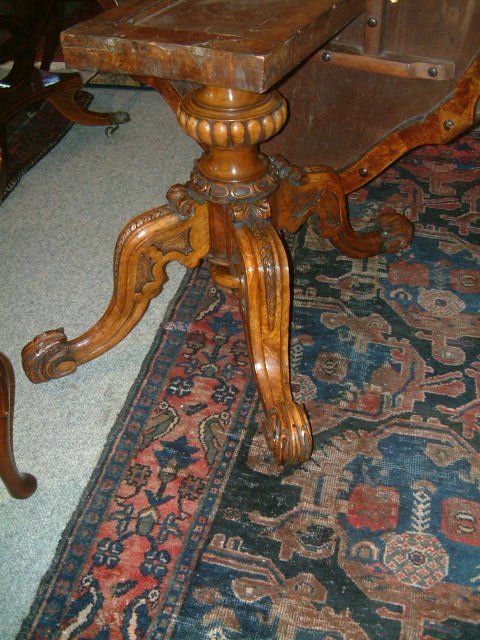 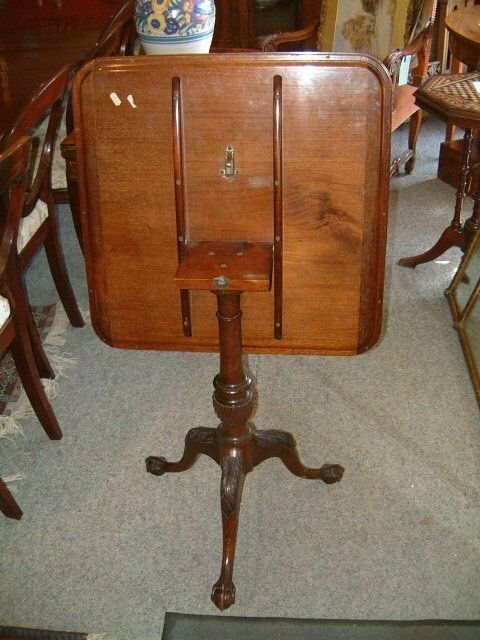 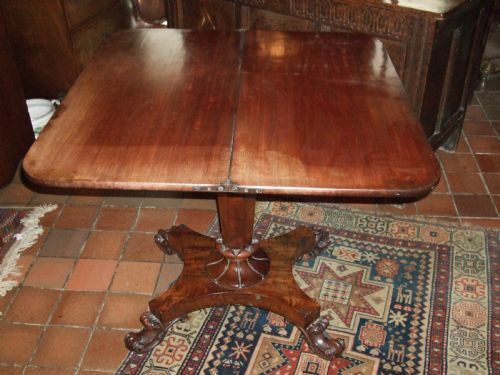 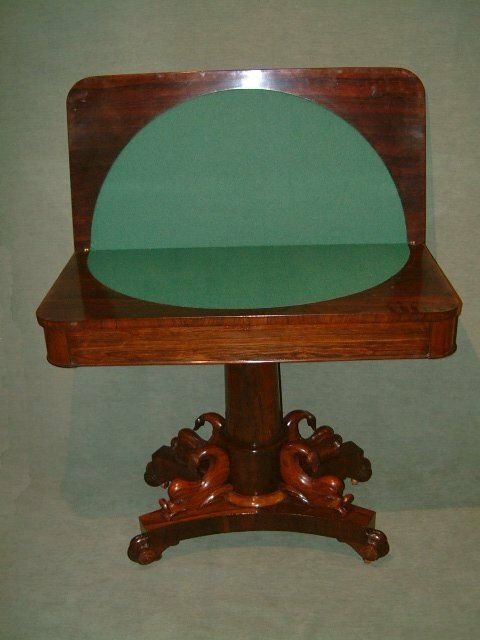 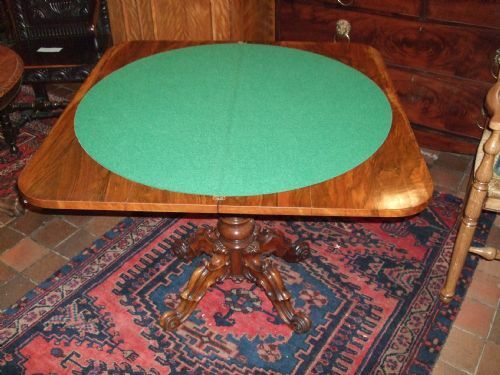 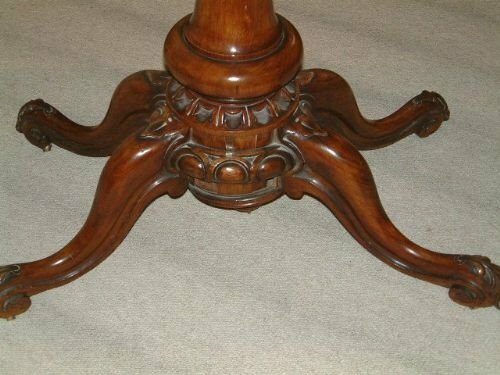 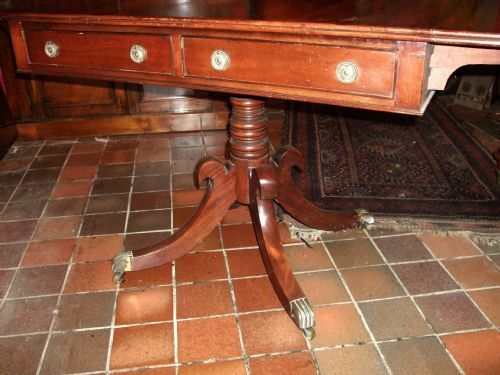 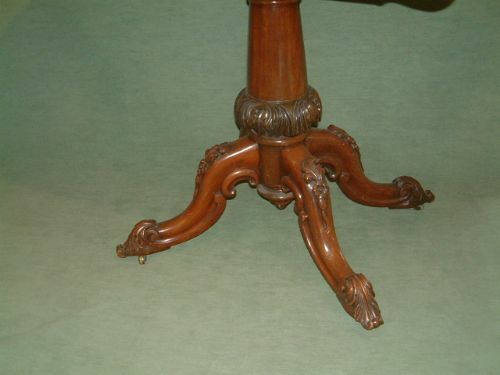 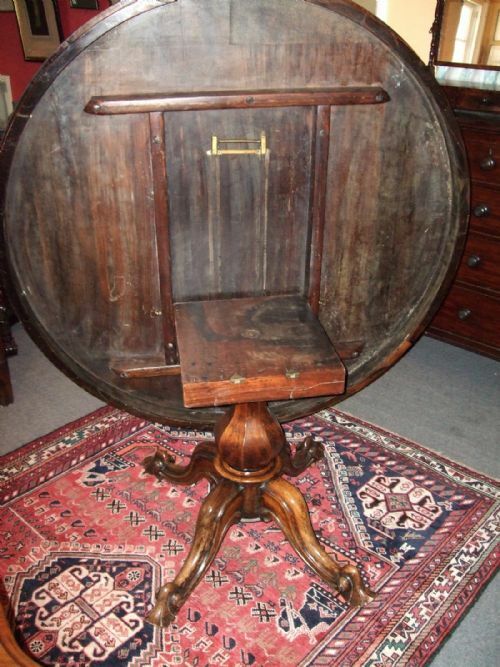 19th Century Mahogany Pedestal Table with Original Woolwork Top. 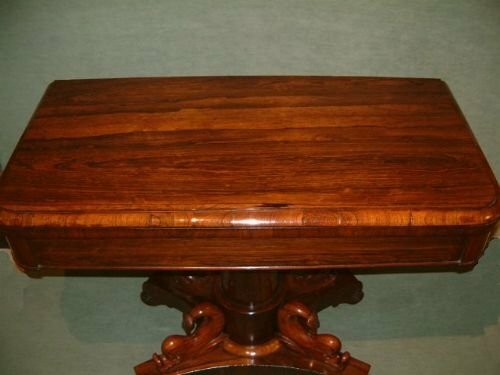 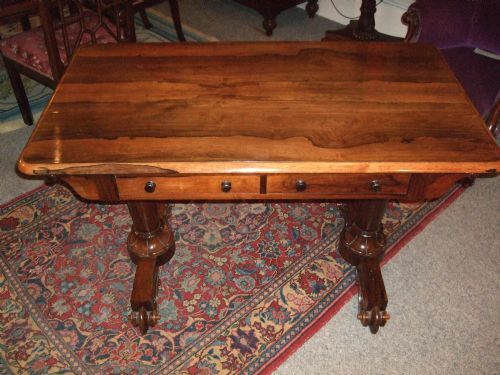 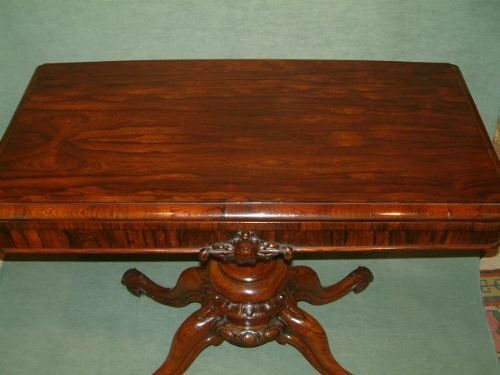 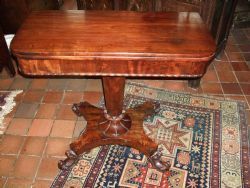 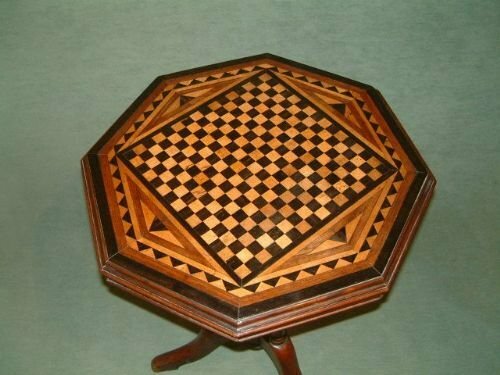 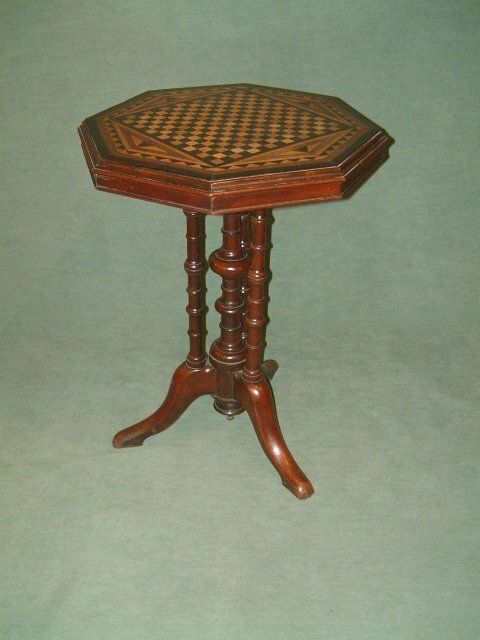 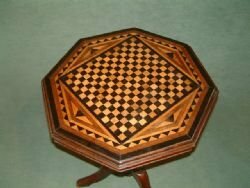 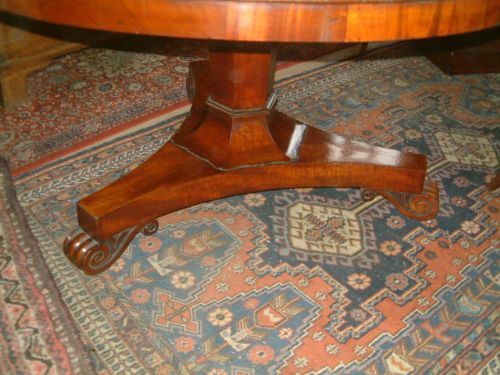 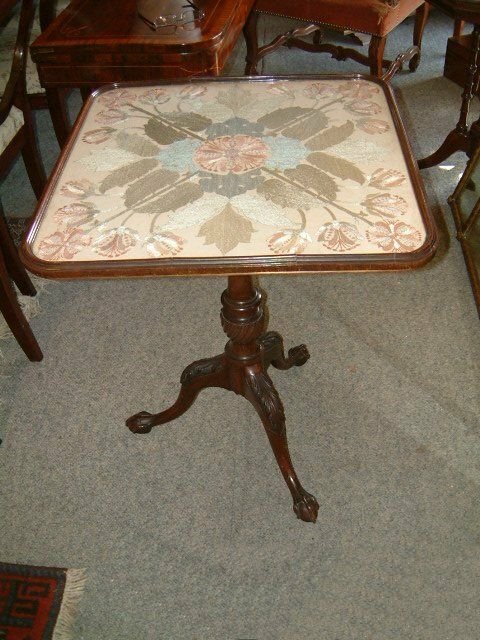 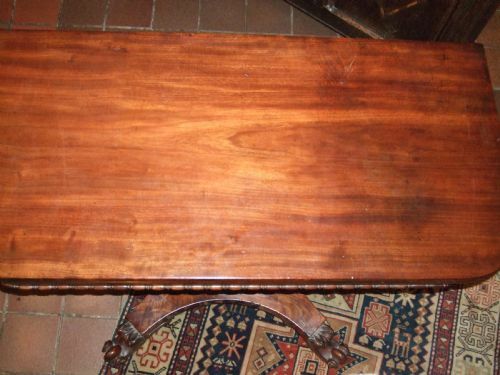 Victorian Parquetry Occasional Table Supported on Mahogany Pedestal Base, the Top Inlaid with Boxwwod, Rosewood & Ebony. 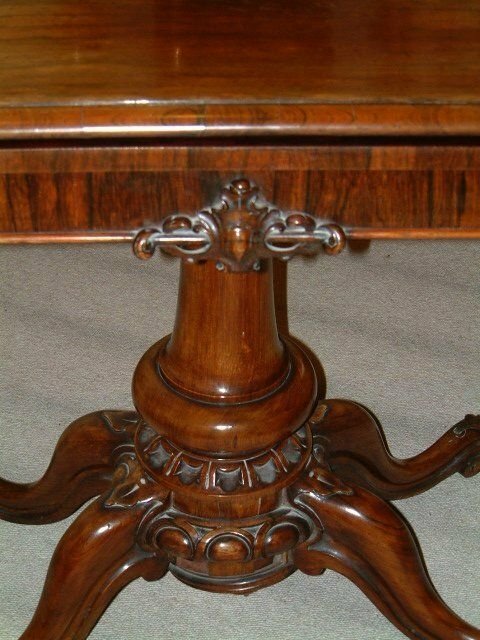 Nicely Carved Details to Pedestal Base. 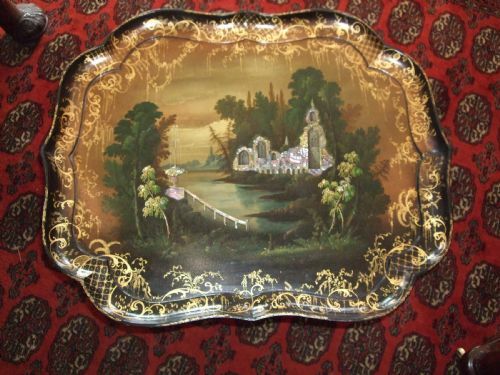 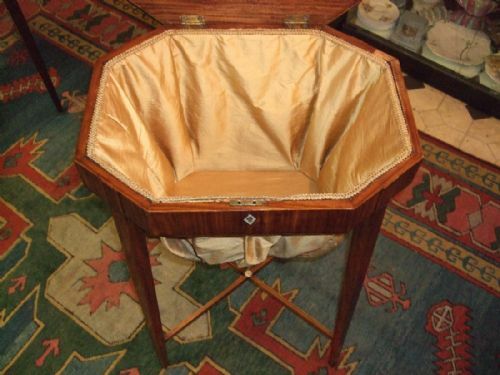 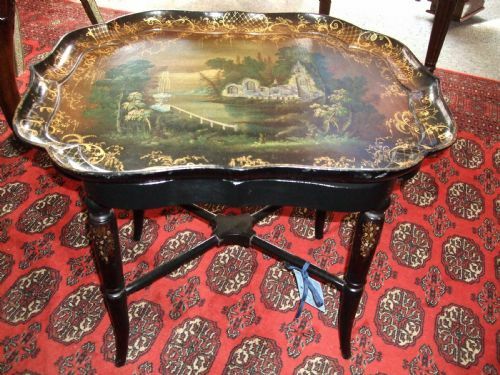 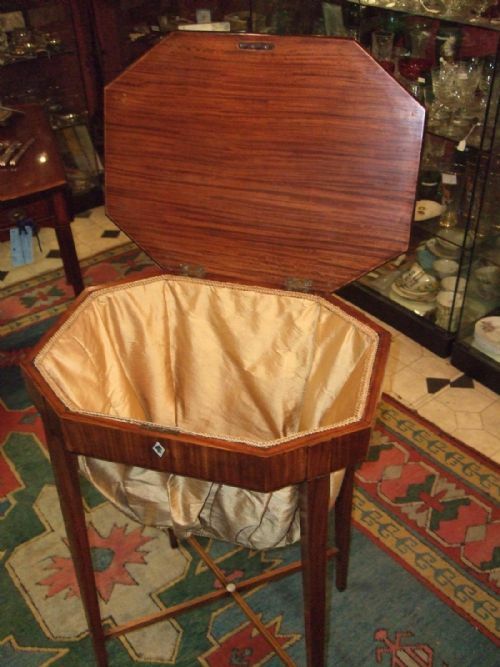 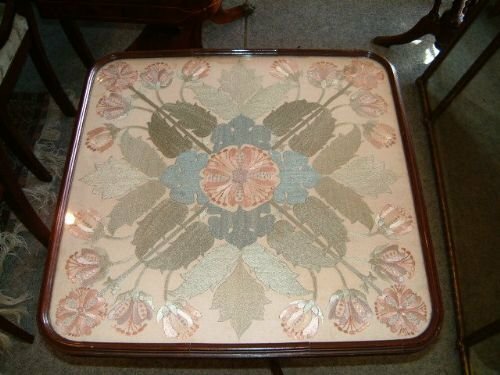 Victorian Papier Mache Tray Top Table with Mother of Pearl Inlay. 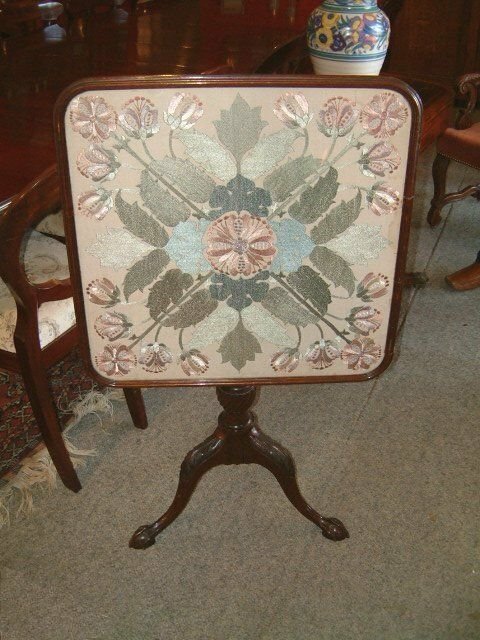 Victorian Papier Mache Tray Top Table with Mother of Pearl Inlay. Possibly later Stand. 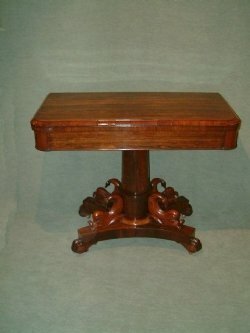 William 4th Mahogany Pedestal Occasional Table. 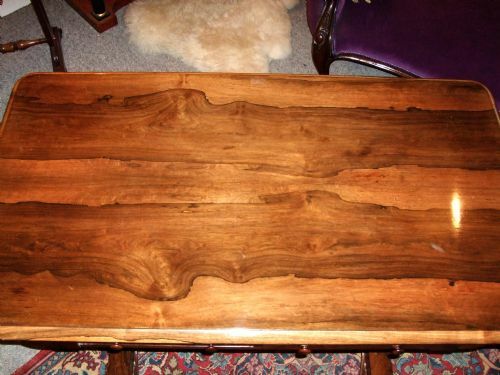 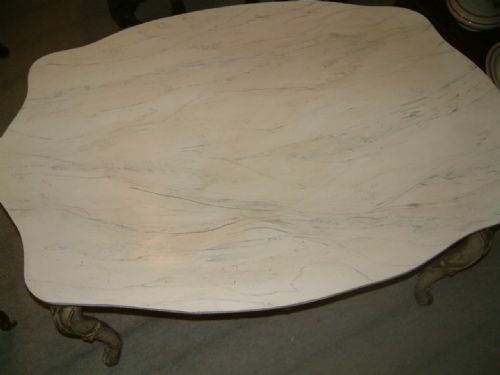 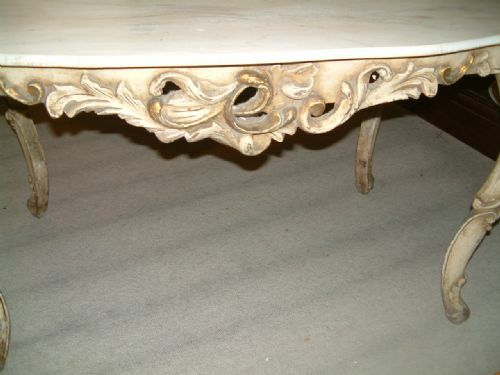 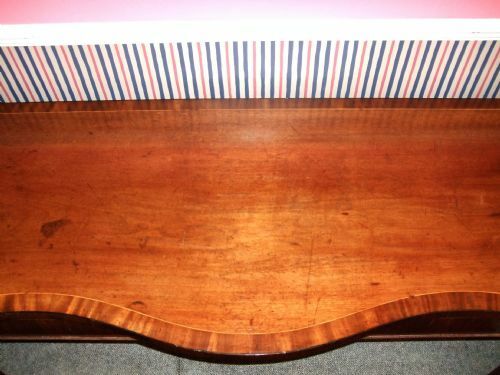 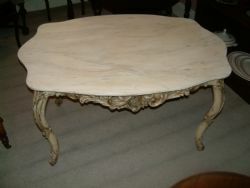 1920's Carved Coffee Table with Faux Painted Marble Top Possibly later.